Mediation Home » What is Mediation..
A mediator is someone who is trained to help people work out the details of an agreement when there are adversarial situations, such as divorces, employment disputes, property divisions, etc. Mediators are neutral, and the process is often much less expensive than going to court. Mediators can provide a Mediated Settlement Agreement which is a binding contract. Central to mediation is the concept of “informed consent.” So long as participants understand the nature of a contemplated mediation process and effectively consent to participate in the described process, virtually any mediation process is possible and appropriate. Voluntary – You can leave at any time for any reason, or no reason. Collaborative – As no participant in mediation can impose anything on anyone, everyone is motivated to work together to solve the issues and reach best agreements. Controlled – Each participant has complete decision-making power and a veto over each and every provision of any mediated agreement. Nothing can be imposed on you. Confidential – Mediation is generally confidential, as you desire and agree, be that by statute, contract, rules of evidence and/or privilege. 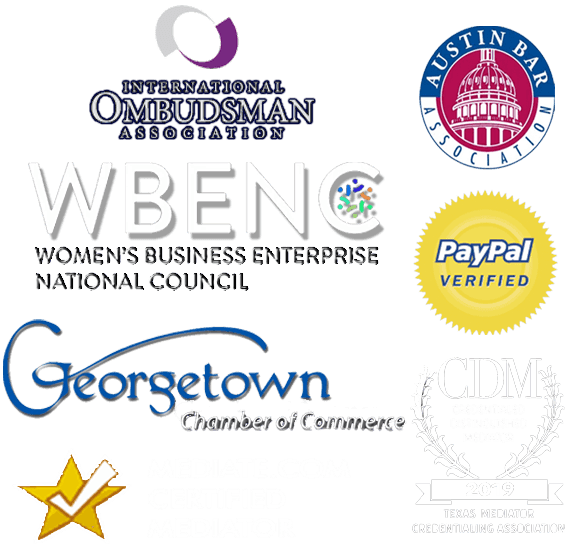 Mediation discussions and all materials developed for a mediation are generally not admissible in any subsequent court or other contested proceeding, except for a finalized and signed mediated agreement. 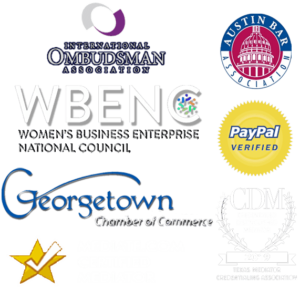 Your mediator is obligated to describe the extent of mediation confidentiality and exceptions to that confidentiality. The extent of confidentiality for any “caucus meetings” (meetings between the mediator and individual parties) should also be defined. Informed – The mediation process offers a full opportunity to obtain and incorporate legal and other expert information and advice. Individual or mutually acceptable experts can be retained. Expert advice is never determinative in mediation. The participants always retain decision-making power. Mediators are bound to encourage parties to obtain legal counsel and to advise them to have any mediated agreement involving legal issues reviewed by independent legal counsel prior to signing. Whether legal advice is sought is, ultimately, a decision of each mediation participant. Impartial, Neutral, Balanced and Safe – The mediator has an equal and balanced responsibility to assist each mediating party and cannot favor the interests of any one party over another, nor should the mediator favor a particular result in the mediation. Your mediator is ethically obligated to acknowledge any substantive bias on issues in discussion. The mediator’s role is to ensure that parties reach agreements in a voluntarily and informed manner, and not as a result of coercion or intimidation. Self-Responsible and Satisfying – Based upon having actively participated in voluntarily resolving issues, participant satisfaction and the likelihood of compliance are found to be elevated through mediation compared to court options. Please note, we are not acting as your attorneys, lawyers, or giving legal advice. Please read the website carefully. If we accept your case, we will be acting as your mediators. If you wish to continue, please let MOT know.